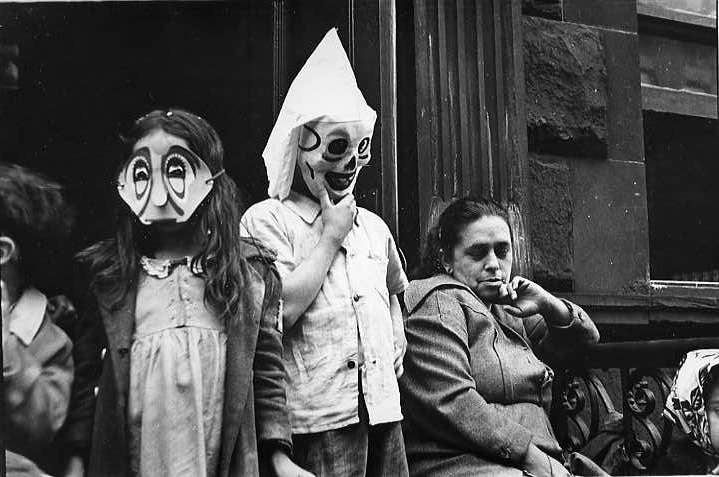 “Halloween.” One of Helen Levitt’s most celebrated photographs of all time. 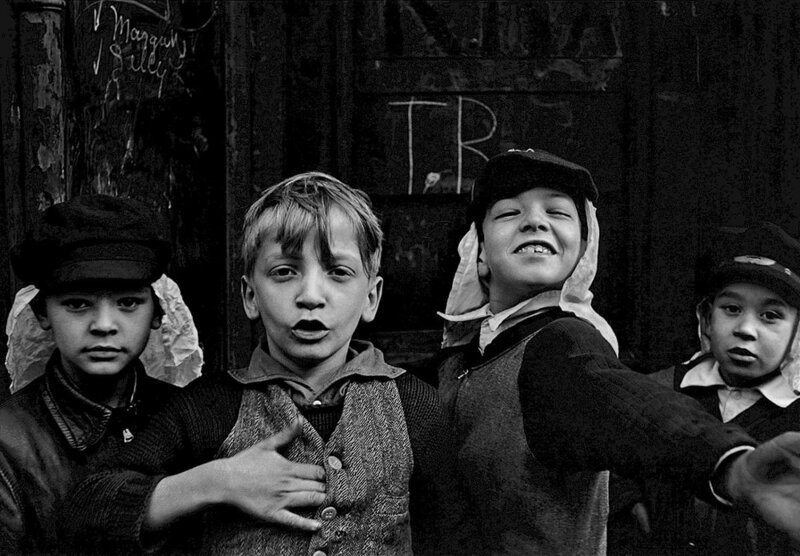 Born a Russian-Jewish immigrant in Bensonhurst, Brooklyn (1913 – 2009), Helen Levitt was a New York City photographer and has been described as one of the most celebrated and least known of her time. Levitt’s work, often playful and candid comprised of the city’s street activities, people going about their day, family pets and children. She loved photographing children and particularly the chalk drawings that they had left behind on sidewalks and city streets. 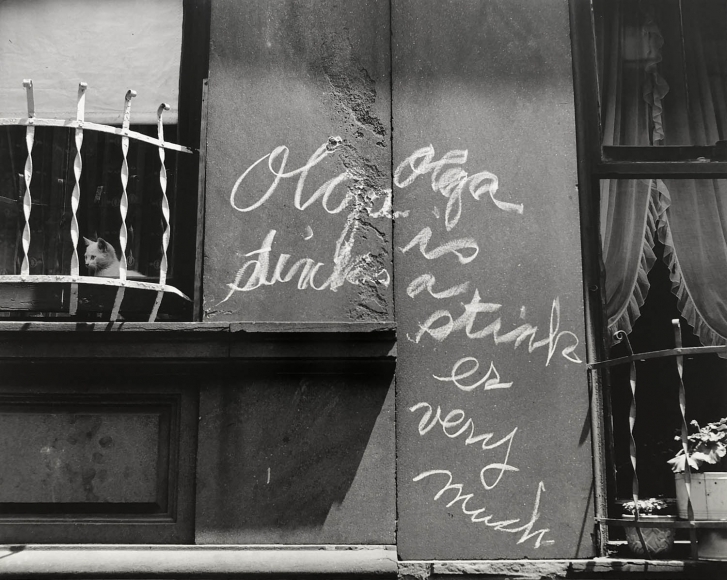 Documenting the chalky ephemera left by kids was in fact how she got her start in photography and ultimately resulted in work published in 1987 as In The Street: Chalk Drawings and Messages, New York City 1938–1948. 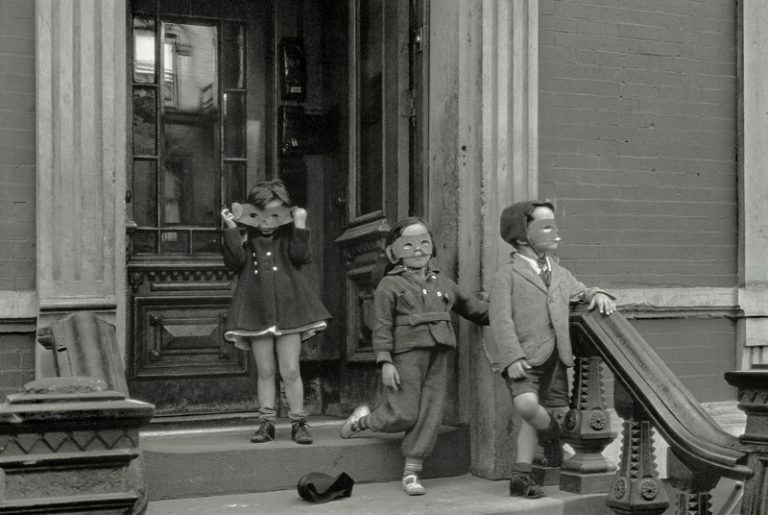 Throughout the 1930s and 1940s, Levitt continued to take her camera to working class neighborhoods to capture her beloved streets of New York City. She documented life in the Garment District, East Harlem and the Lower East Side and honored the people and its ever-changing city surroundings through her poetic photo journalism. In 1939, one of Levitt’s most widely-known photographs, Halloween, was selected as an integral part of MoMA’s newly launched photography exhibition. It was only a few years later (1943) when she would present her first solo exhibit at the renowned museum receiving a spotlight she so deserved. 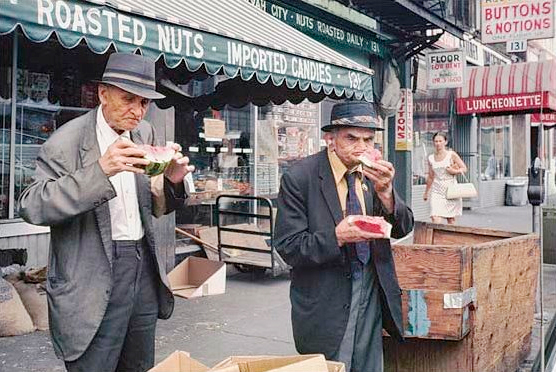 Below, some of Levitt’s striking black and white images and color photography works. Helen Lveitt, New York, c.1940. We hope you are as inspired as we are to shoot our beloved city’s streets and its amazing cast of characters that makes this place truly unique.